63 piece jigsaw puzzle can be made with you selected photo! 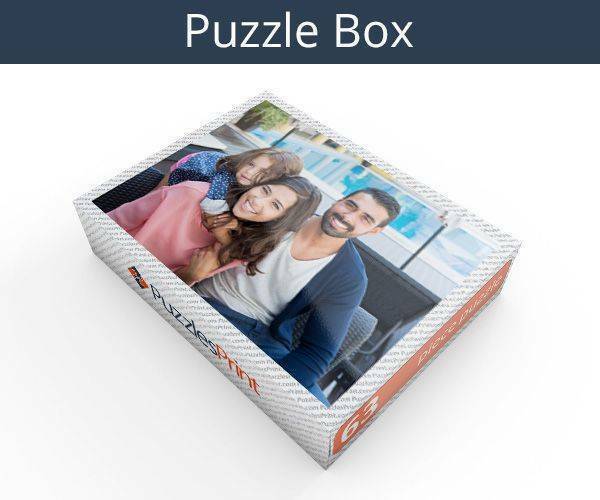 You can customise 63 piece jigsaw puzzle with your own photo, design or artwork. 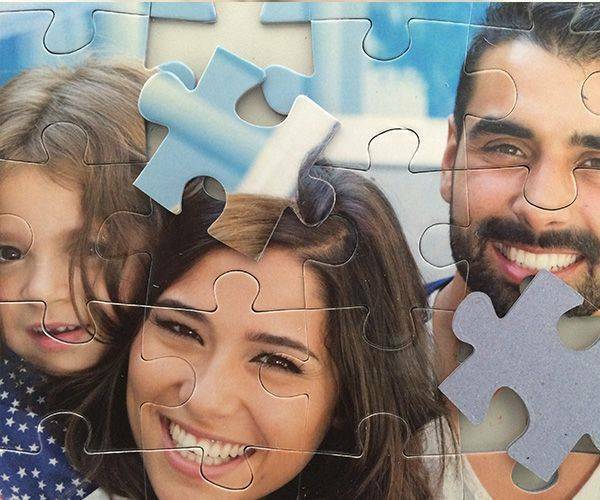 Our editor allows you to see a clear preview how your personalised jigsaw will look. You can even add text message to it. 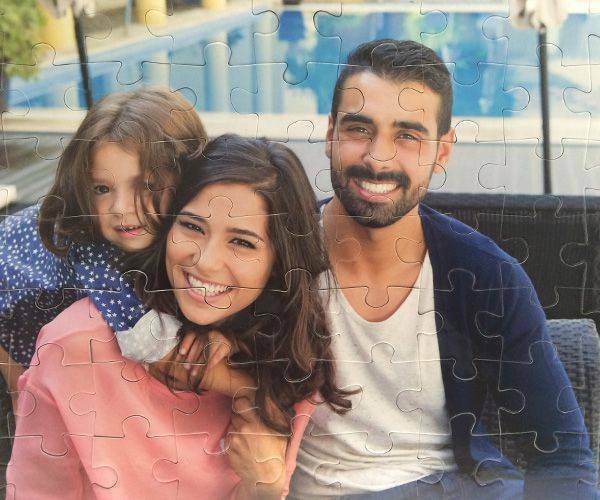 Personalised 63 piece jigsaw puzzle will make a great photo gift that suits any occasion. 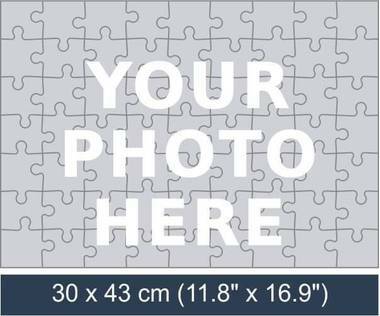 Many of our customers use this jigsaw as guest book puzzle for their wedding. If you have a jigsaw there will always be something to keep you entertained. When a child has one, it can be a source of wonder as the random pieces are slotted together to produce a picture. 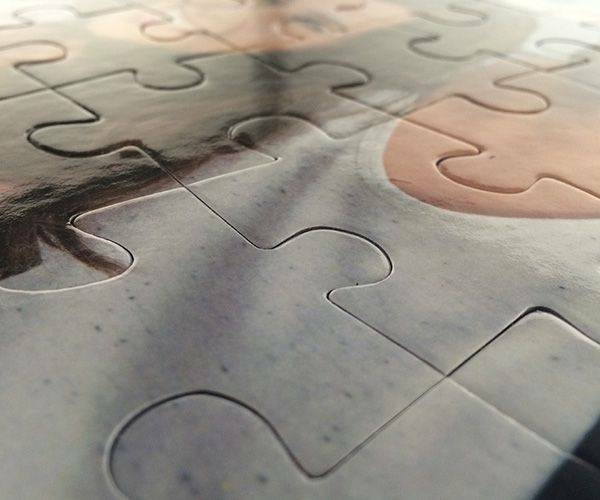 With a 63 piece jigsaw, there will be plenty of pieces to show them and the overall size is not going to be too big. It measures just 30 cm x 34 cm and before long they will be able to do it all alone. As soon as the box is unwrapped, the picture will be clear and when the child recognises the subject they will be eager to start. When a birthday starts with a present this special it will be hard to top it. It is a gift that will be suitable for all occasions were presents are given and once one has been given, it will be hard to stop ordering. 63 pieces is going to be enough for a child as a higher amount could prove to be too difficult for them to manage. Once they are put off it may be hard to get them back interested so keeping them on track is vital. It is easy to arrange for the jigsaw to be produced as production will start very soon after the photograph has been uploaded. A message can quickly be added and then all that remains is for payment to be made. 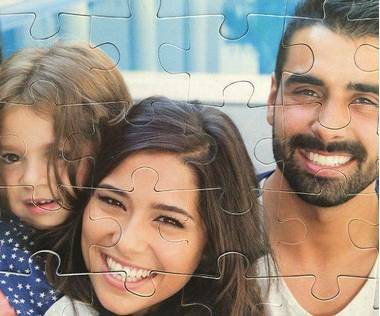 Too often jigsaws that have been made a few times are discarded as the picture does not really resonate with the people who have been doing it. Here it will be different as the picture has been specially chosen and so is going to be very important. Once 63 piece puzzle completed the picture can be kept intact and turned into a wall hanging. It will be a pleasure to look at the jigsaw and tell visitors that it was assembled by your child. It can be a responsibility to be the person who makes the purchase of the 63 piece jigsaw as before long there will be requests for others. The only limit will be the limit of pictures that you have and people you want to give a special present.